Effective Prosecution is a timely response to recent major changes within the Criminal Justice System which require the police and the Crown Prosecution Service (CPS) to work together, taking a 'joint prosecution team approach'. The Manual of Guidance which was prepared jointly by the police and CPS is an essential aspect of this joint approach and provides guidance for police on how to submit prosecution files successfully for court. 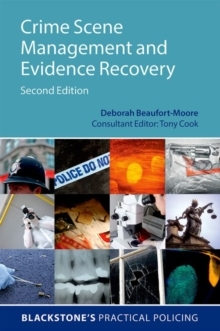 In this book the authors, whorepresent both the CPS and the police, explain the implications of this change and unpack the information contained in the Manual of Guidance in an accessible and practical way, helping police officers understand each stage of file preparation. 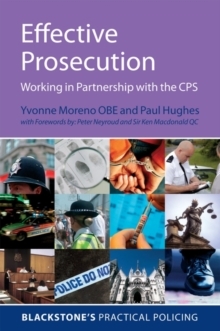 The book sets out the specific requirements of the CPS tothe police, explaining the practical steps and procedures to follow in order to secure a conviction more easily, using checklists, scenarios and examples for readers to see how the process works in practice. It includes detailed coverage of the submission of case papers, including examples of all 20 Manual of Guidance (MG) forms. Advice on how to complete each form is provided in a helpful step-by-step way to ensure readers are confident to prepare their own case papers. 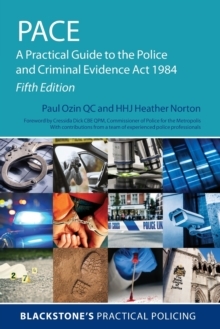 The authors also discuss the relevant law, procedure and best practice involved in this area, incorporating the recent legislative changes to police and CPS duties. Updates to legislation such as the Criminal Juctice Act 2003 and the PACE Codes of Practice are covered, encompassing changes to interviewing guidelines and the protocol concerning video evidence in court. 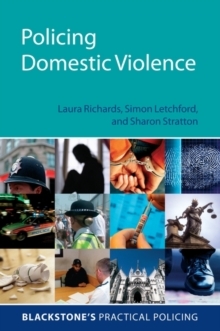 There is also detailed coverage of the requirements and methods of handling victims and witnesses when obtaining evidence, thecorrect handling of unused material, and advice on how officers can give more effective testimony in court. This coverage is supplemented with case studies to provide a practical context for these procedures. 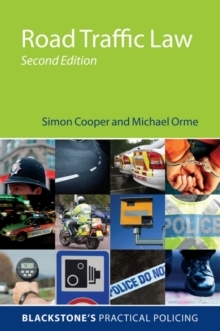 A must-have resource for all police officers involved in file preparation: this book is the first publication of its kind to draw together all the CPS case preparation requirements for the police in one practical guide. The Blackstone's Practical Policing Series covers a range of topical subjects of vital importance in today's policing arena. Each practical guide contains clear and detailed explanations of the relevant legislation, accompanied by practical scenarios, illustrative diagrams and useful checklists. Packed with a wealth of information, the Blackstone's Practical Policing Series ensures you have ready access to the tools you need to take on any policing challenge.